Gov amaechi of Rivers State, had a massive rally yesterday ,it was the rally in Port Harcourt that brought some 40,000 residents of Port Harcourt together yesterday. 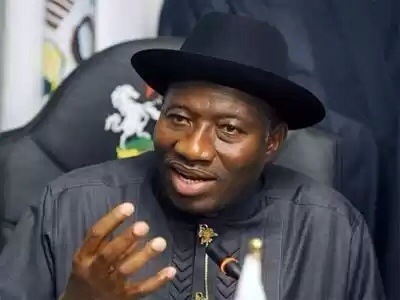 President Goodluck Jonathan got aggrived about some issues. In a statement issued from Israel where the President and his supporters are currently on pilgrimage, President Jonathan accused Amaechi of sundry offenses including mismanagement and corruption, this accusation has been well explained. Governor Rotimi Amaechi took his obnoxious willingness to denigrate the highest office in the land in a reckless bid to advance his selfish political interests to a new level of irresponsible and rascally behavior yesterday in Port Harcourt with his totally false and baseless vituperations against President Jonathan, the First Lady and the Federal Government. Unless his unbridled ambition and desire for self- promotion have completely befuddled his mental faculties and caused him to totally lose touch with reality, Governor Amaechi must know that his claims and allegations are untrue. We can only assume therefore that he is deliberately spewing malicious falsehood in a desperate effort to incite the people of Rivers State and Nigeria against his assumed political foes. We warn him that there are legal, constitutional and moral limits to political rascality beyond which he will not be allowed to go without repercussions. They also know that while Amaechi continues to falsely accuse the Jonathan Administration of having done nothing for Rivers State, he has recklessly squandered huge state resources on dubious, vainglorious projects or self aggrandizement. Nigerians will know too that while he falsely alleges that Rivers and other states have not received funds due to them from the Federation account, the only outstanding allocation was for September, which was released to all states well over a week ago. The Governor should stop trying to make President Jonathan the scapegoat for his woeful performance in Rivers State and look to his own very apparent failings and incompetencies. He should also stop blackmailing the First Lady who has demanded nothing from him other than good governance, justice, equity, fairness, real development and progress in Rivers State.